흐트러짐 없이 건강한 피부의 균형, ‘율려(律呂)’를 고민하던 한율은 오래전부터 지혜로운 어머니들에게 사랑받아온 소나무의 생명력에 주목했습니다. 특히 가지에 붙어있는 녹색 솔잎보다 땅에 떨어져 갈색으로 변한 솔잎의 효능이 더 뛰어나다는 사실에 주안점을 두고, 갈색 솔잎의 스토리를 디자인에 담았습니다. 한율 패키지 및 용기의 모든 컬러는 원료가 가장 건강할 때의 상태에 띄는 색상을 바탕으로 만들어집니다. 율려원액 또한 갈색 솔잎의 색상을 직관적으로 용기와 패키지에 적용했습니다. 용기는 한율의 기본적인 사각의 몸체와 원형의 뚜껑에 모던하게 해석한 한국적인 곡선을 더했습니다. 화려한 광택을 빼고 편안한 느낌을 줄 수 있는 질박한 질감으로 한율의 멋을 더했습니다. 율려를 전하려는 한율의 마음은 제품을 담아내는 과정에도 고스란이 담겨있습니다. 충북 괴산의 닥나무 뿌리를 원료로 하여 만든 한율 자연지는 한지 명가의 맥을 잇고 있는 안치용 한지 명장의 손을 빌어 한국적 미를 살린 패키지로 탄생했습니다. 견고한 율려 패키지 안에 피부 율려를 위한 한율의 마음까지 담아 전합니다. 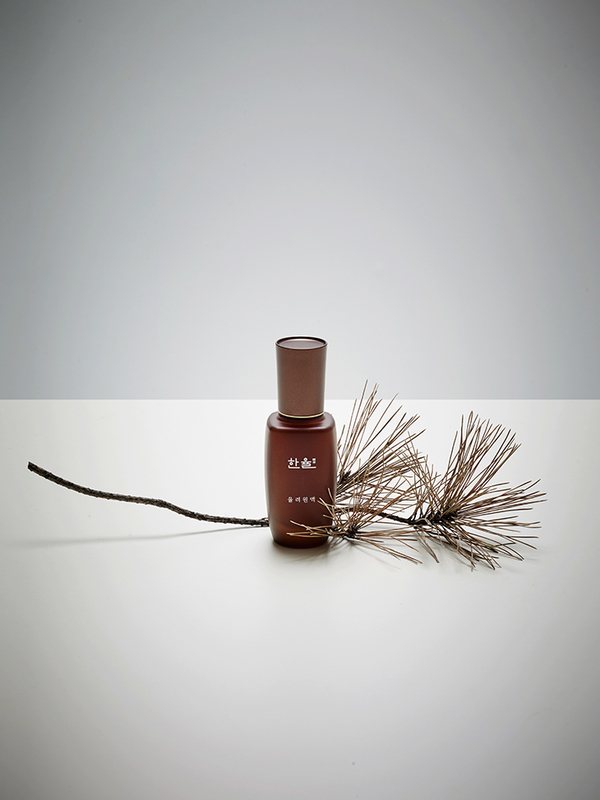 Hanyul searched for “Yul-ryeo(律呂),” healthy skin's firm balance, and found the answer from the past, from the vitality of a wise mother's beloved pine tree. Since the fallen, brown-colored pine needles are more effective than green pine needles, the story focused on brown needles to transform into design. The color of Hanyul's packages and containers is that when raw materials are at their best condition. For the optimizing serum, for instance, the color of brown pine needles was intuitively applied for the package and containers. The containers are designed and modernly interpreted with basic square-shaped body with round cap and without luxurious gloss but with comforting and simple texture. 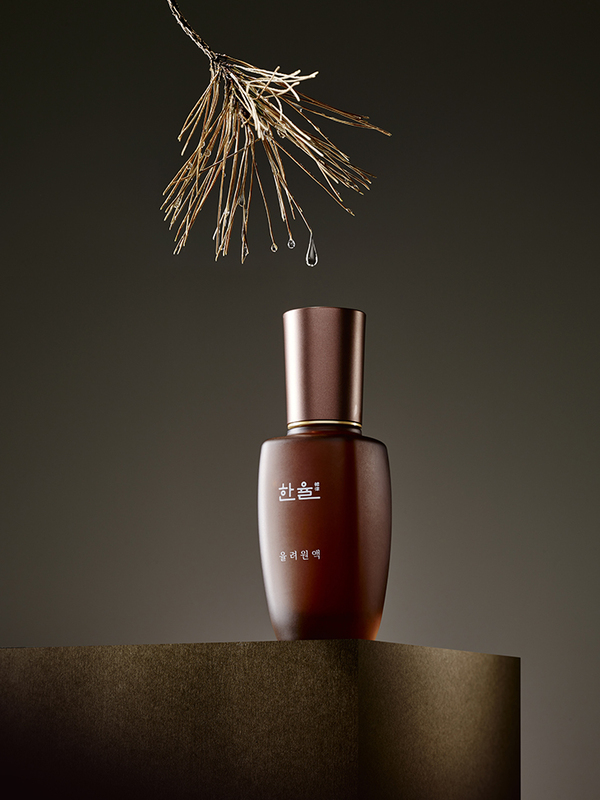 The process of making the product shows Hanyul's attitude in delivering Yul-ryeo. 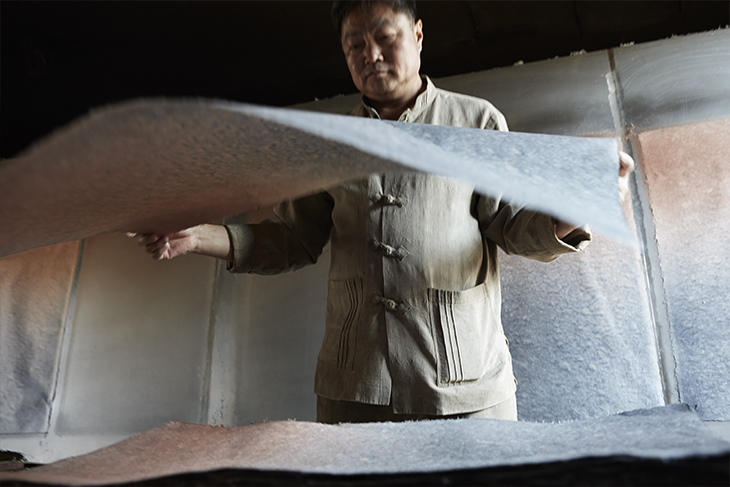 Hanyul's natural paper is made from mulberry roots in Goesan in North Chungcheong Province. It was given to the “Hanji(traditional handmade paper of Korea)” Master, Ahn Chi-yong, continuing its legacy of Hanji to produce the package with Korean beauty. 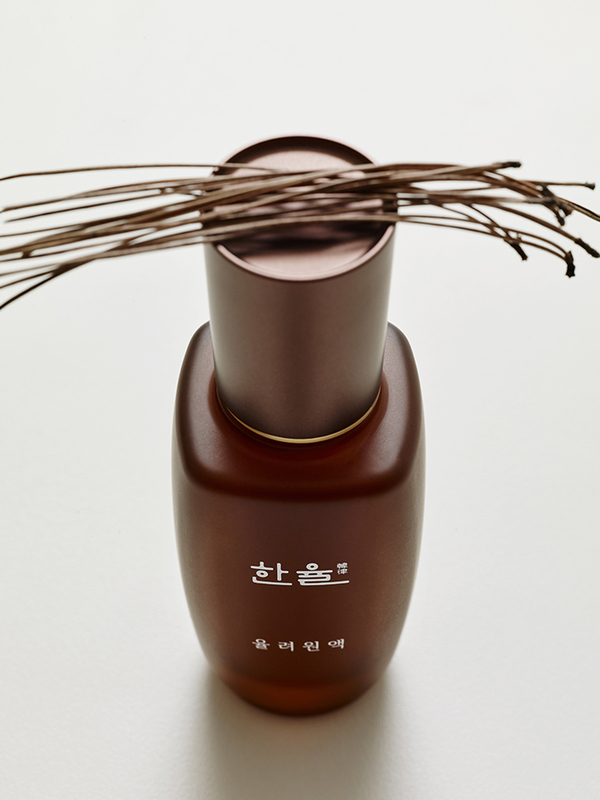 Hanyul's effort for skin's healthy, firm balance, Yul-ryeo, is delivered in this solid Yul-ryeo package.